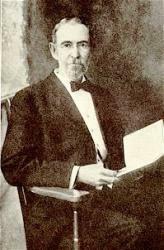 Johnson Oatman Jr (1856-1922) is the author of this prayer gospel song.The music to the words of the song was added by Charles Hutchinson Gabriel. He was a member of the Methodist Episcopal Church. The author is reported to have written about 3,000 songs from 1892 to 1922 when he died.His songs were in demand by gospel musicians of his day including Charles Gabriel, William James Kirkpatrick and Edwin Excell.